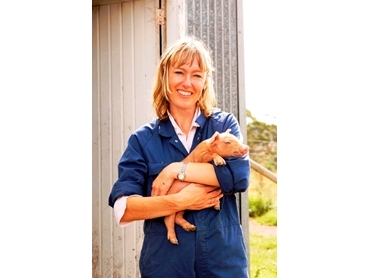 Australia’s Pork Cooperative Research Centre (CRC) has announced it would be a major sponsor of the 2011 Australian Pig Vets meeting in Melbourne in July. The Pork CRC will support the attendance of keynote speakers Professor Mary Barton, University of South Australia, Dr Toni Chapman and Dr Alison Collins, both of The Elizabeth Macarthur Agricultural Institute, Industry and Investment NSW, Dr Megan Edwards, ACE Livestock Consulting and Dr Sue Yen Woon, Rivalea. According to Pork CRC CEO, Dr Roger Campbell, these researchers have been leading Pork CRC supported research projects, some of which are some distance from adoption or application on farm, but others are very close. “This meeting of veterinarians who work directly with pork producers on farms provides an opportunity for Pork CRC research findings to be robustly discussed in a technical forum, subsequently assisting the adoption and commercialisation process,” he said. Australian Pig Vets, a special interest group of the Australian Veterinary Association, will hold its meeting on July 24-26 at Rydges Hotel, Flemington Rd., North Melbourne.